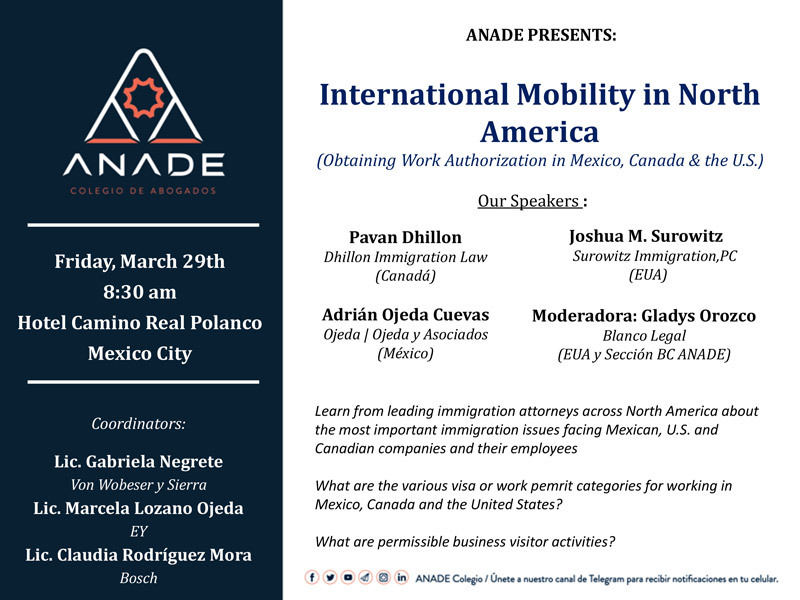 Attorney Pavan Dhillon is excited and honored to be invited to speak alongside Adrian Ojeda Cuevas, Gladys Orozco and Joshua Surowitz in Mexico City on Friday March 31, 2019. Thank you Anade, for hosting this presentation. Anade is the largest corporate counsel association in Mexico, where global mobility is increasingly important. 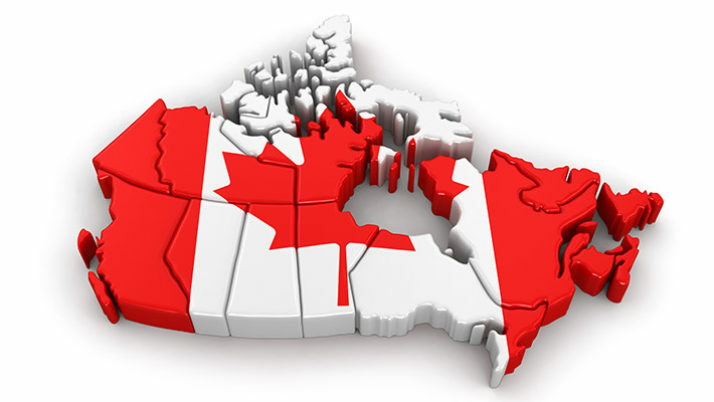 We look forward to addressing the most pressing global mobility questions with leading attorneys from Mexico, the United States and Canada. 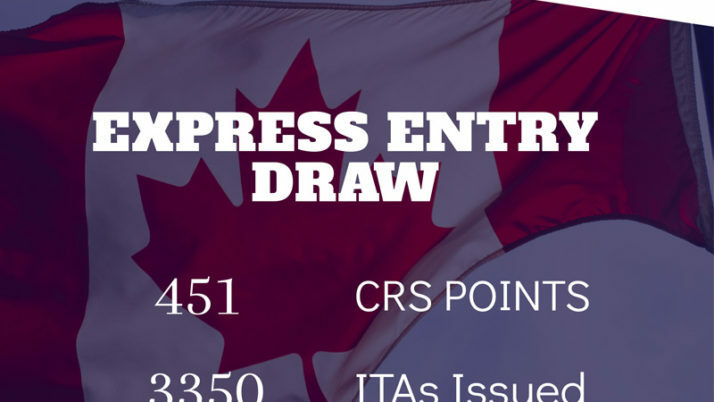 Pavan’s presentation will focus on Canadian Immigration options for companies, startups and individuals seeking entry to Canada.